Hey hey hey everyone! 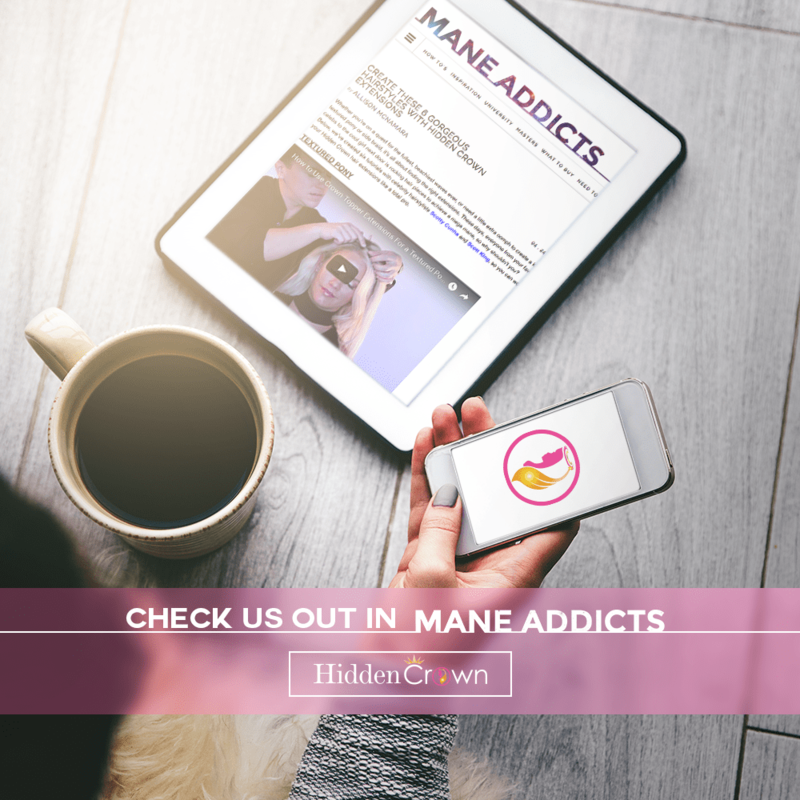 Guess where we are featured on… Mane Addicts! If you have never heard of “Mane Addicts,” they are the one stop destination for all things related to hair. Whether you need inspiration for a new style, want to learn how to do a runway look, or want to learn more about the experts, we’ve got you covered. Featured in April, writer Allison McNamara talking about using our products with the post “Create These 6 Gorgeous Hairstyles with Hidden Crown Extensions.” This article also features celebrity hair stylists Scott Cunha and Scott King sharing how easy it is to apply Hidden Crown Extensions as well.